I have come across Twin Dragon Gyoza wrappers. They are the only products of its kind that are vegan, GMO-Free and made with 100% natural ingredients. I found from other wrappers I have used they were very easy to work with. From mistakes made from other types of wrappers, these do not tear as easily. I like this being I was throwing away more than I was keeping. Frying was super fun because they browned fast and were very easy to fry. 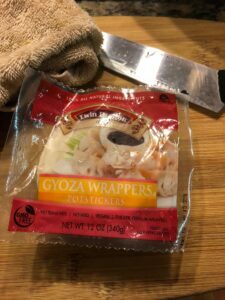 These wrappers are a very versatile product to make with your non-traditional Asian dishes the new Asian Fusion. 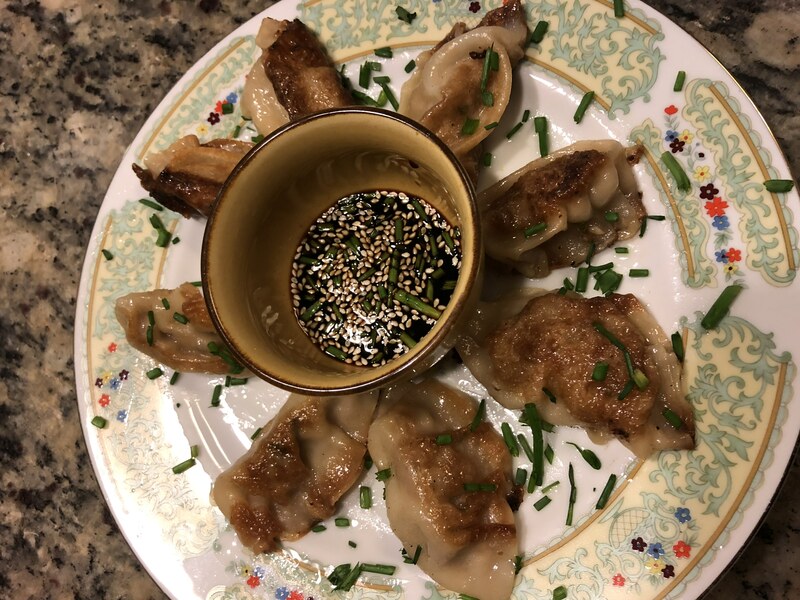 With the Gyoza Wrappers I received, I decided to make Pork Potstickers. This has become a favorite of the family when we order traditional Chinese takeout. The ease of this recipe will make you want to make this every chance you get. But don’t take my word for it. Please try it. You will want to try other types of recipes in your kitchen with products from Twin Dragon (JSL Foods). Step 1 Combine the filling ingredients in a large bowl, using your fingers to mix everything together. If preparing the filling ahead of time, store in a sealed container in the refrigerator until ready to use. Step 2 Place a gyoza wrapper on a cutting board. Cover the remaining wrappers with a damp cloth to keep them from drying out while filling and folding the dumplings. 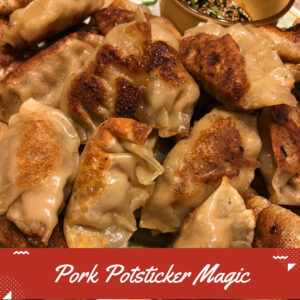 Add a heaping teaspoon of the pork filling to the middle of the potsticker wrapper, using your finger to spread it out toward the sides. Be sure not to overfill. Step 3 To fold the dumpling, moisten the edges of the wrapper with the mixture of water and egg.Gently lift the edges of the moistened wrapper over the filling. Crimp the edges of the wrapper and pinch together to seal. Repeat with the remaining gyoza wrappers. Step 4 Heat a nonstick skillet over medium-high heat and add the oil. Add 10 to 12 potstickers at a time and cook for 2 to 3 minutes until the bottom is browned. Step 5 Add 1/3 cup water, cover, and steam the dumplings until the liquid is absorbed, about 5 minutes. Remove and cook the remainder of the dumplings, adding water in as needed . Step 6 Serve alone or with a homemade gyoza sauce. Step 7 For sauce mix all ingredients and let sit for all to come together before serving.